Promoting and supporting creative ventures and art programs is a way Kristen engages the youth and special needs communities. Art can be created with or for the community. Engaging young artists and asking them to participate in the community and cultural landscape of their environment is changing for the better. It's well known that a community's health and overall standing goes hand-in-hand with the art it produces. 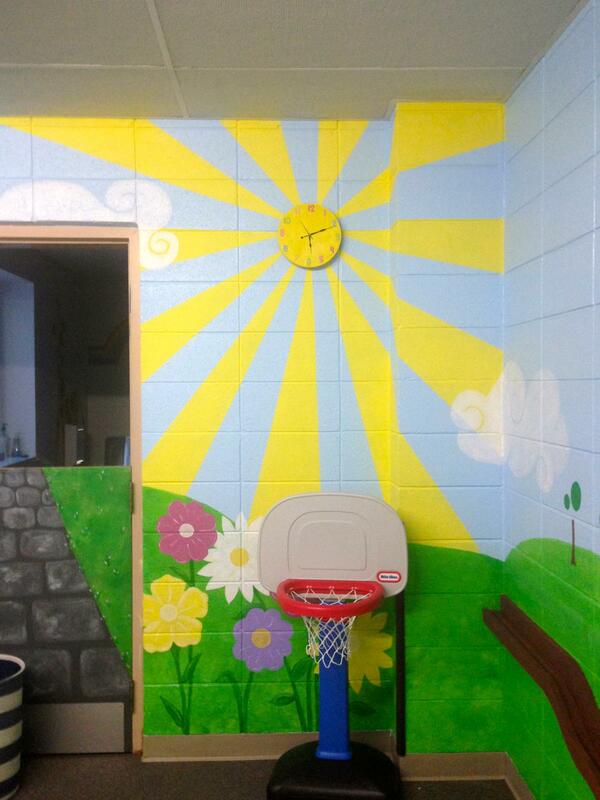 Schools and community buildings are perfect settings to incorporate art and education through art residencies. In these programs Kristen works alongside faculty, students, and the community to fill a space with artwork that enhances their environment with something of meaning to them. Some themes have been town history, environmental concerns, and their natural landscape. Kristen is also commissioned to create murals based on a given theme to enhance the meaning and purpose of a space. An arts themed mural graces the entry hallway at an arts based magnet school. An interactive 3-D design helps special needs preschoolers with their everyday learning and both their gross and fine motor skills.